~ I have had storage rentals many tiems over the years & HomeBase Storage far surpasses any experience i have ever had. It is a safe, secure, clean, & wonderfully climate controlled. I have rented from other "supposed" climate controlled places, & my belongings ended up smelling terribly musty. I have had my things stored over at Homebase for almost a year now, & when i stopped by to get some blanket & sheets to change from flannel & heavy blankets over to linen sheets & a light quilt, they smelled wonderful! I was so impressed I had my family & a few friends smell the quilt to make sure my nose was not deceiving me ... Everyone was amazed! The only small critique I have is for the management to please have the people who rent the music rooms, during the day or in the evening, to not park directly by the entrance ramps. There have been quite a few times, over the past 7 months, that there were so many musician's vehicles parking there in the evening, that I had trouble getting things unloaded from my minivan into the building & I was worried about scratching someone's car with the rolling cart, as I tried to maneuver between vehicles to get my things in & out of the storage unit. Thanks for the place to provide feedback & thanks for a great place to store my belongings. We are moving from Arizona to Nebraska and we needed a storage unit asap!! 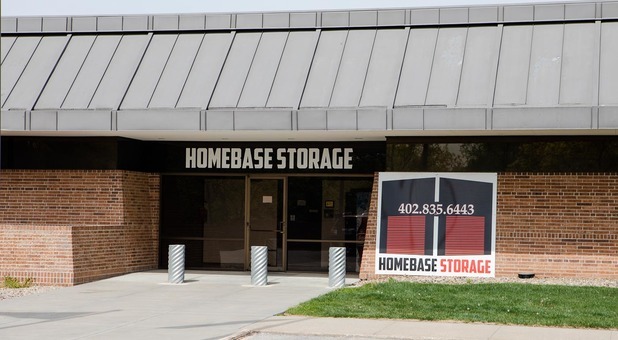 We called this storage place not knowing ANYTHING about Homebase Storage place or for that matter Lincoln Nebraska..Jeff Weiss the storage manager promptly called me back..and effectively made everything happen for us to get into the unit when we arrived in town at zero degrees!! HELLO LINCOLN! BUT CLIMATE CONTROLLED IS THE ONLY WAY TO GO!! we dont know what we would've done without his help! we have had numerous numerous storage units across the U.S. and this experience with him and this VERY nice..well lit& safe storage facility will be #1 for us. INCREDIBLE SERVICE and we got lucky for his help and such a nice unit! Safe, secure, clean and climate controlled simply amazing! This facility is not like any I have checked out in Lincoln. Jeff the manager is helpful and friendly, the units are easy to access, the security measures are top of the line, and payment was convenient as well. I just can not say enough good things about this storage facility. If you are looking for a place to keep your worldly treasures, in a safe environment, this is definately the place to go. I live in California, and was in Lincoln helping my mother move into a retirement facility. I had some boxes I needed to store at the last minute. It was at the end of the movers' day, and my flight left early the next day. I was able to easily set up the storage in the evening, using the kiosk. The movers said they had never seen anything so slick. The climate-controlled space is clean and convenient, and Jeff was so helpful when I had questions. Clean, secure and close to home! I needed a storage unit that I could get into immediately, that wouldn't cost a fortune and wasn't creepy and dirty. The Home Base units on North Cotner are perfect. Climate controlled, easy to access and in a safe neighborhood. I am impressed by the facility and staff. Jeff gave me a tour of the facility, did my paperwork and had me in a unit in about 15 minutes. Well done Home Base! Very modern facility and the cleanest place I have seen in Lincoln. The computer lets the manager know if my door opens and I am not in the building. I moved into the 700 N Cotner facility without a problem using the kiosk they have installed. Very clean and modern security. I had a garage there for seven years and the rate only increased $7 during that time. I thought that was incredibly reasonable! Never worried about the security of my items and the location was convenient.